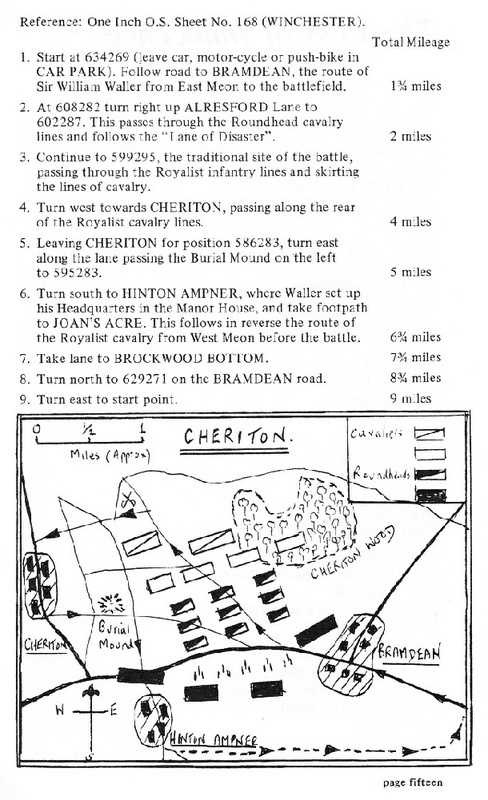 One of the most original history trips took place on 21 July 1977, visiting the Civil War battlefield of Cheriton. Alton, East Meon, Alresford, Old Basing and The Vyne were also on the itinerary. The trip was jointly organised by "Colonel" Sheila Walker and "Cornet of the Horse" Alan Fordham. Alan’s article on the battle from the December 1971 issue of the Farnhamian is reproduced below and also on the page dealing with the Lower Sixth. 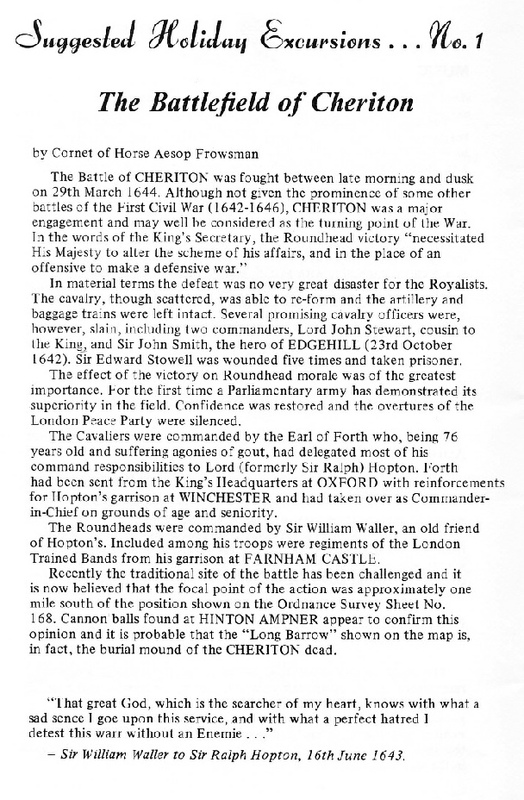 Alan Fordham had studied the Battle of Cheriton closely and considered it "the turning point of the war". The trip is still worthwhile making today.